Gray Fox never was ordinary. Even her name was bold. When she ran into introverted beauty Adam Young, though, she felt like she could enjoy something normal in her life for once despite her urge to have a striking and intense lifestyle. Adam never was very outgoing. He was always the biggest introvert and could only speak out in the form of music and the Internet. His dream was always to simply find someone who loved him and his tendencies to shy away into his own shell just as much as he loved her. Meeting Gray, he felt a strange connection, but knew that he couldn't simply live with someone quite so bold in his life from the very start. Yet they still decided to hang on and continue to grow closer as the months passed by. As they started to know each other more, they found their selves wanting to know even more than before, but that might have been their greatest mistake. Unfortunately, they didn't find that out until it was too late. 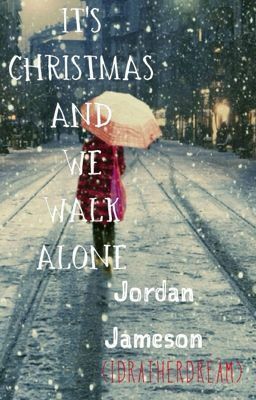 Follow Adam and Gray in this touching tale of heartwarming moments and heartbreaking consequences as they learn that sometimes things just weren't meant to be and Christmas isn't always meant for joy.